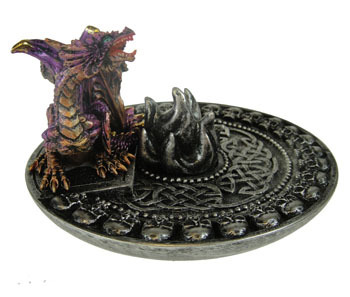 A finely detailed incense holder featuring a colourful dragon which has been hand finished and is made from cold cast resin. It measures approximately 11cms. in height.